Get a $125 Amazon.com Gift Card upon approval for the Amazon Business Prime American Express Card. Note: The information related to the Amazon Business Prime American Express Card has been collected by fitsmallbusiness.com and has not been reviewed or provided by the issuer of this card. The Amazon Business Prime American Express Card is best for businesses owners with Amazon Prime memberships and shop at Amazon businesses frequently. Cardholders can earn 5% back on purchases at Amazon and pay as little as a 16.49% annual percentage rate (APR) to finance purchases. Upon approval, you will receive a $125 Amazon.com gift card. The best small business credit cards offer introductory rewards up to $1,000 and provide up to 5% back on eligible purchases. The Amazon Business Prime American Express Card’s ongoing rewards of 5% back are the highest among the best credit cards for Amazon purchases. It also provides cardholders with American Express’ invaluable travel perks and insurances. We give it 4 stars out of 5 stars. The Amazon Business Prime American Express Card offers the highest ongoing rewards ― 5% back or 90-day terms ― for Amazon purchases among small business credit cards. 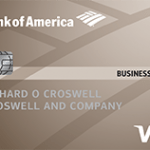 This American Express business credit card has no annual fee, and the ongoing APR starts at 16.49%. The Amazon Business Prime American Express Card offers the best possible ongoing rewards compared to other small business rewards credit cards. However, its introductory offer worth $125 falls short of other small business credit cards, such as the Capital One® Spark® Cash for Business. When grading points rewards business credit cards like the Amazon Business Prime American Express Card, we weight ongoing and introductory rewards heaviest. We also took into account the annual fee, introductory and ongoing APRs and additional card benefits. This Amazon business credit card offers introductory rewards match well with competitors. Based on our five-star rating system where 20 points equals one star, the Amazon Business Prime American Express Card would need to improve its introductory rewards to earn 4 1/2 stars. In cases where cards receive perfect scores in most categories, we may award bonus points to boost the card’s rating. The Amazon Business Prime American Express Card is one of the best credit cards for Amazon-related purchases. If you don’t have an Amazon Prime account and frequently shop at Amazon.com, a good card option would be the Amazon Business American Express Card. It offers 3% back and 60-day free financing terms. The Amazon Business Prime American Express Card is right for businesses that primarily shop at Amazon-owned companies and are current Amazon Prime members. Cardholders will earn 5% back or 90-day no-interest financing on United States purchases at Amazon.com, Whole Foods Market, Amazon Business, and Amazon Web Services (AWS). No other small business credit cards match these rewards on Amazon-related spending. This Amazon business credit card is an excellent option for Amazon Prime members because it offers the highest rewards you can earn at Amazon.com at 5% back. However, Amazon has other cards for business owners who do not have a Prime membership. If you don’t have an Amazon Prime account, consider opening the Amazon Business American Express Card. The Amazon Business Prime American Express Card carries no annual fee and has an ongoing APR between 16.49% and 24.49%. Additionally, this American Express business credit card has no foreign transaction fees and charges at least $5 for cash advances. Other small business credit cards that are good options for Amazon-related purchases may be more expensive. 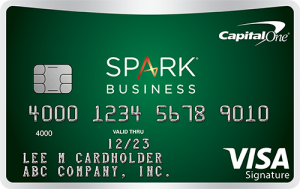 For example, both the Capital One® Spark® Miles for Business and Capital One® Spark® Cash for Business credit cards carry an annual fee of $95 and have a variable ongoing APR of 19.24%. However, Capital One waives the annual fee during the first year. To avoid paying interest on the Amazon Business Prime American Express Card, cardholders must pay their entire credit card balance within 25 days of the date the bill was issued. Both the Capital One® Spark® Miles for Business and Capital One® Spark® Cash for Business have an identical 25-day window. However, some credit cards have shorter windows like the Chase Ink Business UnlimitedSM, which is required to be paid 20 days after the billing cycle closes. The Amazon Business Prime American Express Card offers the best rewards among any small business credit card for Amazon-related purchases. Cardholders can earn 5% back or 90-day terms on purchase at Amazon-owned businesses. Upon approval, you will receive a $125 Amazon gift card. You will earn a $125 Amazon gift card upon approval when using your card. One of the major downsides to this American Express business credit card is that it doesn’t offer a substantial introductory reward. If you’re on the hunt for a small business credit card that offers a more robust introductory offer, consider the Chase Ink Business UnlimitedSM. You can earn a $500 cash bonus after spending $3,000 within three months. The Amazon Business Prime American Express Card offers the best ongoing rewards for Amazon-related purchases compared to any other small business credit card. For example, the Capital One® Spark® Cash for Business card only offers 2% back on any spending category and the Capital One® Spark® Miles for Business offers only unlimited 2x miles on every purchase for your business. Rewards earned while using the Amazon Business Prime American Express Card are awarded in the form of points. The redemption value of Amazon rewards points are $1 for every 100 points. Rewards restrictions here are common across small business credit cards. Purchases from Amazon.com: Once you’ve earned reward points and they reflect in your account, you can use them for eligible Amazon purchases; you can also use points to shop at Amazon.com/Business. Keep in mind that rewards are tracked as points and every 100 points is equal to $1. Rewards points don’t expire as long as you maintain an active account. Although, you can lose your points if your account status changes or you have a payment default, such as when payment isn’t made on time or is returned. Similar to other American Express business credit cards, the Amazon Business Prime American Express Card offers benefits that can value in the thousands of dollars every year. Such features include a roadside assistance hotline, purchase and return protection, enhanced data views, account management tools, and more. Amazon Business Prime American Express Card owners can call a roadside assistance hotline in case of an emergency. This is a free hotline that can send out a tow truck or assist with lockout services. Cardholders, however, will be responsible for any charges for services ordered from the hotline. Although the Amazon Business Prime American Express Card doesn’t cover the fees of these services, there are other premium small business credit cards that do. The American Express Business Platinum Card®, for example, offers these services and up to 10 miles of towing at no additional cost. Overall, small business credit cards that offer roadside assistance generally exclude the same types of vehicles. For instance, exclusions on the American Express Business Platinum Card® are identical. The Amazon Business Prime American Express Card provides purchase protection coverage up to $1,000 per eligible item and up to $50,000 per calendar year. Eligible items include purchased items that have been damaged or stolen within 120 days of the purchase date, which is 90 days for New York residents. The Amazon Business Prime American Express Card covers purchased items only if they were damaged or stolen within 120 days of the purchase date, and they were purchased entirely using your credit card. 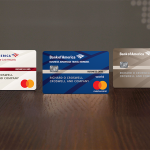 In comparison, both the Capital One® Spark® Miles for Business and Capital One® Spark® Cash for Business provide purchase security within the first 90 days of purchase. Capital One will replace, repair, or reimburse items in the event of theft or damage. In comparison to American Express, Capital One offers a more substantial coverage on purchased items. The Capital One® Spark® Miles for Business and Capital One® Spark® Cash for Business both offer coverage up to $10,000 per item and up to $50,000 per year. Exclusions here are similar among small business credit cards. If you purchase an item using the Amazon Business Prime American Express Card and can’t return it within 90 days from the purchase date, American Express will provide return protection coverage. American Express may refund the full price of the purchased item up to $300 per item and up to $1,000 per year, excluding shipping and handling charges. With the Amazon Business Prime American Express Card, your purchased items will be covered if they’re in their original condition and the store won’t accept the return within 90 days from the purchase date. Return protection, however, is not a common benefit across small business credit cards. The Capital One® Spark® Miles for Business and Capital One® Spark® Cash for Business, for example, don’t provide return protection. American Express is one-of-a-kind in this category, as most small business credit cards don’t offer return protection and instead only offer purchase protection. However, among American Express business credit cards, exclusions here are identical. American Express offers extended warranties on purchased items that have original manufacturer’s warranties of five years or less or up to $10,000 per item and $50,000 per account. Amazon Business Prime American Express Card owners can get an additional two years to their warranty if the original warranty was between two and five years or American Express will match the warranty if it’s less than two years long. American express covers purchased items with an original manufacturer warranty of five years or less when you pay entirely with your Amazon Business Prime American Express Card. In comparison, the Chase Ink Business UnlimitedSM only provides coverage on warranties that are three years or less. Although the Amazon Business Prime American Express Card offers a larger window of additional warranty coverage compared to the Chase Ink Business UnlimitedSM, exclusions here are common among both business credit cards. The Amazon Business Prime American Express Card offers travel accident insurance coverages up to $100,000. Your trips will only be covered if the entire trip fare is charged to your American Express business credit card. If you die or lose a limb, sight, speech, or hearing in association with any travel fares paid entirely with the Amazon Business Prime American Express Card, you’re eligible for coverage up to $100,000. If your business wants more coverage, consider a premium American Express card like the American Express® Business Platinum Card, which covers up to $500,000. Coronary thrombosis, aneurysm, or deep vein thrombosis. Most small business credit cards that offer travel accident insurance, like the Amazon Business Prime American Express Card, cover the same basic losses like losing a limb, sight, speech, or hearing. Additionally, exclusions of this insurance coverage are generally the same across small business credit cards. American Express provides baggage insurance coverage between $250 to $1,250 for carry-on baggage, checked baggage, and high-risk items. You can tap into this coverage as long as you paid the entire trip fare using the Amazon Business Prime American Express Card. In comparison, both the Capital One® Spark® Miles for Business and Capital One® Spark® Cash for Business don’t offer a baggage insurance plan. Instead, cardholders only have access to a lost luggage locator service that helps you through the claim procedures or can arrange shipment of replacement items. However, cardholders are responsible for the cost of any replacement items shipped to them. Baggage insurance protection is an additional travel perk that’s offered across all American Express business credit cards. On these small business credit cards, exclusions are generally identical. Compared to competitors, American Express ranks best in this category. By using the Amazon Business Prime American Express Card, cardholders will tap into car rental loss and damage insurance up to $50,000 per rental agreement. It’s important to note that this coverage is only good for the first 30 consecutive days of a car rental agreement. In comparison, the Chase Ink Business UnlimitedSM covers rentals up to 31 consecutive days compared to the 30 days of coverage American Express provides. Additionally, Chase may reimburse up to how much the vehicle is worth. American Express sets the monetary cap for their car rental insurance at $50,000, whereas the Chase Ink Business UnlimitedSM may reimburse cardholders up to the actual cash value of the car. Besides this difference, the policies are similar, including the list of exclusions that apply. If you decide to travel more than 100 miles from home, you’ll have access to a 24-hour global assist hotline through the Amazon Business Prime American Express Card. The American Express global assist hotline links cardholders to travel, emergency, medical, and legal assistance. American Express’ global hotline is one of a kind when compared to other small business credit cards. For example, the Capital One® Spark® Cash for Business, Capital One® Spark® Miles for Business, and Chase Ink Business UnlimitedSM don’t offer a dispatch. By using the Amazon Business Prime American Express Card, business owners and their employees will have access to American Express-branded account management tools. American Express provides mobile device apps and desktop account managers that allow account holders to take control of their money and employee spending. Additionally, you can connect your American Express account to QuickBooks to have transactions transferred automatically. Most small business credit cards offer some sort of account management tools for account holders and employees. Both the Capital One® Spark® Miles for Business and Capital One® Spark® Cash for Business offer a similar mobile app and downloadable purchase records into multiple formats, including QuickBooks. When you make purchases using the Amazon Business Prime American Express Card, Amazon will collect and share transaction data with American Express. As a result, American Express can provide item-level purchase detail on your credit card statement. This can help identify exactly where your company’s funds are being spent most and address any unusual charges. When you purchase an item on the Amazon Business Prime American Express Card, Amazon collects and shares transaction data with American Express to provide purchase details. This is a unique additional feature that’s only offered on this card and the Amazon Business American Express Card. By calling the number on the back of your Amazon Business Prime American Express Card, you can reach an American Express Customer Care Professional. They are specially trained to provide you with business-savvy support as they’re trained to understand the needs of a business owner. American Express is committed to helping their cardholders unlock the power of their cards. This feature is provided on most American Express business credit cards, which can increase the card’s perceived value. There is no additional cost to issue employee cards on the Amazon Business Prime American Express Card. Most small business credit cards on the market don’t charge for additional employee cards, even if the primary card carries an annual fee. Employee cards are an excellent and handy way to give employees the ability to use company funds for business-related purchases. The Amazon Business Prime American Express Card doesn’t have an introductory 0% APR period and isn’t a good card for carrying a balance. Although cardholders can opt-in to 90-day terms, some of the best small business credit cards offer 0% APR for the first 15 months. 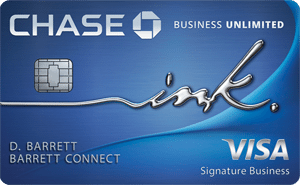 If you need to carry a balance, consider a card like the Chase Ink Business UnlimitedSM, which offers 0% APR for 12 months on purchases. We sourced the web for Amazon Business Prime American Express Card user reviews and found reviews to be both positive and negative. Positive user reviews suggest the application process is extremely easy, and they received instant approval. However, there are negative reviews that mention users are disappointed with the low credit limit ― $500 ― they received. You can apply for the Amazon Business Prime American Express Card on Amazon.com. After providing your basic business and personal information, you will usually receive an instant approval response. Once you’ve been approved, you will receive your card in the mail within seven to 10 days. You can log in to your Amazon Business Prime American Express Card account online by providing your user login ID and password. If you need help, you can reach out to American Express business credit card customer service through its website or call 800-492-3344. American Express has several small business credit cards to choose from for all kinds of business spending needs. American Express offers both cash back and 0% APR cards, which come with various introductory and ongoing rewards, interest rate, and potential annual fees. Some business owners may find that the Amazon Business Prime American Express Card isn’t right for their spending needs. If that’s the case for your business, consider other credit cards that may offer more widespread rewards and favorable terms.